An amazing place to stay right on the beach at Big Manly on the Whangaparaoa Peninsula and only 40 minutes drive north of Auckland. The beach house is 300sqm and is fully renovated to a very high standard. Sit on the window seat or on a cape code chair with a cold drink and watch all the activity from windsurfers to kite surfers and sail boats from the Manly sailing club. Nearby are the Manly shops with many different cuisine choices incl Thai, Indian, fish and chips etc. A 5 min drive to Gulf Harbour and the country club where you can play golf or take the ferry to Tiri Island (the bird sanctuary ). 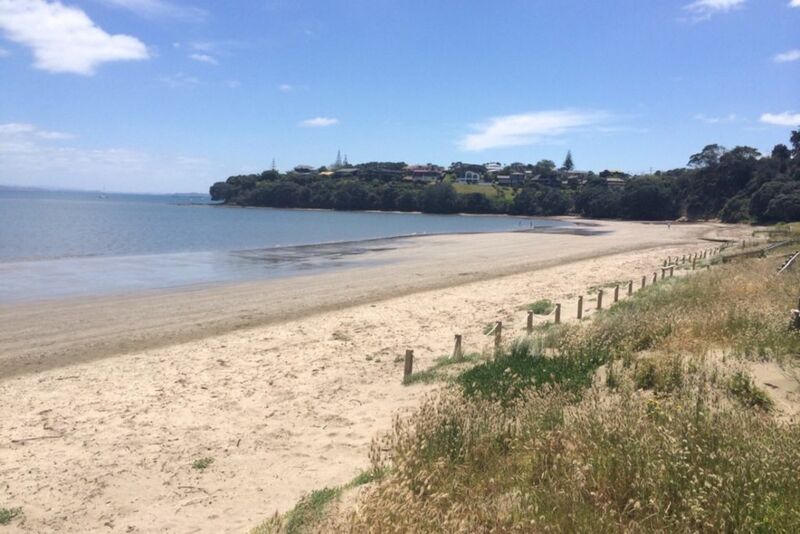 Orewa is a 10 min drive away with great cafes and a further 5 mins to Waweira hot pools. Snowplanet is a 10min drive. Please use outside tap or outside shower to wash off sand from the beach. Please no sand in the spa pool. Please bring in electric awning if the wind gets up. Local shopping plaza,cinema and bowling alley. Lovely stay in an idyllic location. Thank you for sharing your beautiful home! Stunning house only metres from the beach in the best part of Manly. Luxury! Wonderful location, beautiful house and Aaron was great to deal with. Would definitely come back again if it is available! Paradise only a short drive from Auckland! Thank you! The most beautiful house in an incredible location - deserves more than 5 stars!!! Stunning location and beautiful property We had a wonderful stay at The White House. We had a wonderful stay at The White House. The house is stunning in every way. It met the needs of our extended family group and exceeded our expectations. A superb property, beautifully presented and maintained, in a stunning location right on the beach. We would love to stay here again. The White House is an awesome place to stay. The White House is an awesome place to stay. Couldn't fault it. Beautiful property, fantastic location right on the beach - had everything you could need for a fantastic stay. It's the nicest Bookabach that we've stayed in. Highly recommended. I'm sure we'll return here again. The White House Manly is a stunning beachfront bach. The White House Manly is a stunning beachfront bach. Beautifully renovated to a very high standard, it's homely, bright and sunny with a window seat to die for. Absolutely must stay here if you want a quite little beach spot close enough to Auckland but feel miles away from it all.